Reid Taylor, bass player for the rock band CONQUEST, tells first-hand about the thrill of starting out with a little-known Seattle band, and growing to global fame. He describes how he found the love of his life, Kristy. And most of all, he reveals how he saw warnings of what would bring about the band’s tragic end – everything he did to try to help – and the one person whose life he was able to save. I’m not a memoir passionate, that’s the first thing I’ll tell you. There was one memoir-like book I was ever tempted to read, and that was Steven Job’s, but I never got around to actually reading one either. I’ve read some memoirs that I connected with, but not many. Like maybe two. The make or break for me is character, I’m either going to connect with the main in the first five lines of the book or not at all. I’ve always been a ‘first thirty pages’ kinna girl, meaning I give any book those first thirty pages to draw me in and if it’s no go by then, then it’s a no go. I didn’t connect with the character of this story and I gave up at around 15%. The writing was light and fun, easy to read. If I would have connected with the story or character this might have gone a completely different way, but as it is it just didn’t work out. You know how you go on a first date with someone, they’re very nice, do and say all the right things, but the spark just isn’t there? That’s what happens for me with books, too. If there’s no spark then we just have to move on, both of us. 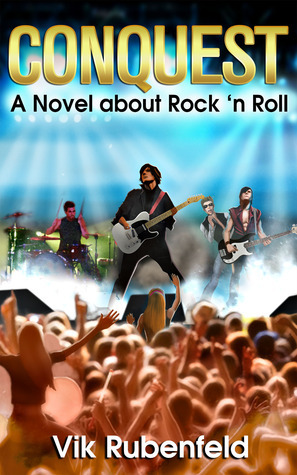 If you’re into band-life stories you might want to give it a try, it will surely work better for you.